A MASSIVE 1.5 million vapers would return to smoking cigarettes if the government introduced a ban on vaping, new national research has revealed. Some 76% of the estimated 2.1 million UK vapers would start smoking again if they could no longer vape, according to the report. Some 97% of vapers are ex-smokers, according to the nationwide poll commissioned by Liberty Flights and carried out with the help of Britain’s biggest vaping forum, UK Vapers. And 98% of the 2000 vapers polled admit they would not have been able to give up smoking tobacco were it not for the availability of e-cigarettes. 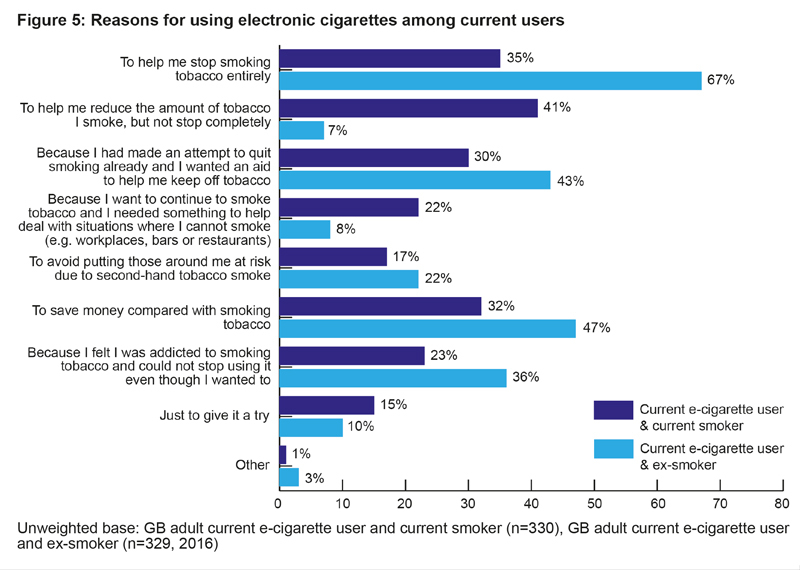 More than four in 10 (44%) said they’d tried to give up with NRT’s in the past but none had worked, 32% admit they had tried many times to give up in the past but had been unsuccessful before finding e-cigarettes, and 20% said they have given up for short periods in the past but always returned to cigarettes eventually. According to the vapers, big improvements in personal health are noticeable when replacing smoking with vaping. Some 75% said their health had improved considerably since quitting cigarettes for vaping and a further 15% said they were slowly regaining health after turning to e-cigarettes after years of smoking. Being healthy again is the best thing about finally being able to give up smoking, according to 78% of vapers. Having more money is the second best thing, according to 34% of the vapers polled. And the savings can be considerable, according to the Liberty Flights research. Before they had given up smoking 44% of vapers spent between £50 – £100 per week on cigarettes and tobacco, according to the poll. But once they had become vapers and ditched smoking cigarettes, an astonishing 69% found they were spending less than £10 per week on their habit with savings of up to £4,000 per year for 62% of them. 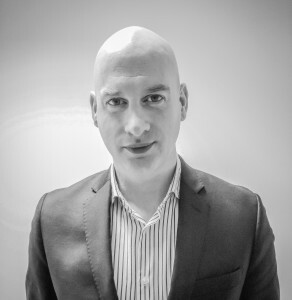 Matthew Moden, Liberty Flights Director, said: “Our research, conducted with the help of UK Vapers, shows that most believe vapers will outnumber smokers within a decade. A third of vapers believe it may be even quicker – within five years. “That’s good news for the UK because vaping has not only been proved to be several magnitudes safer than smoking when it comes to personal health but also has no residual risk to those in the vicinity of people who are vaping. “A huge 74% of vapers also told us that, as long as laws don’t restrict their vaping habit, they will never return to smoking cigarettes. “The government and health experts need to sit up and listen to these people – pretty much every one of them has been an habitual smoker and has finally been able to give up tobacco because of vaping. They are not only experiencing positive changes to their health but are also seeing important financial savings. 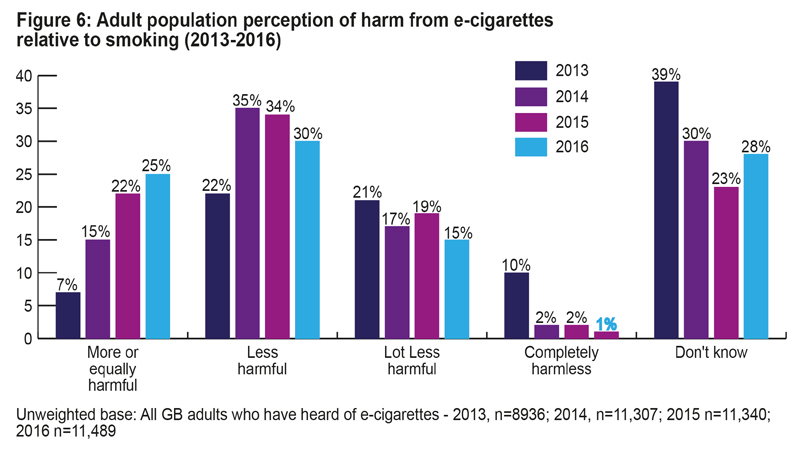 The research shows that just 4.6% of vapers are dual-users (vaping e-cigarettes and smoking real cigarettes) and that once they’ve given up smoking just 16% of vapers choose tobacco flavoured e-liquids; Fruit, sweets and dessert flavours are enormously more popular among the adult vaping community. Almost nine out of 10 vapers (89%) refute claims that vaping is renormalising cigarette smoking, claiming research proves it doesn’t and that suggestions of renormalisation are little more than scare-mongering. Indeed, 94% of vapers state that the authorities are being particularly harsh with potential new restrictions on e-cigarettes. 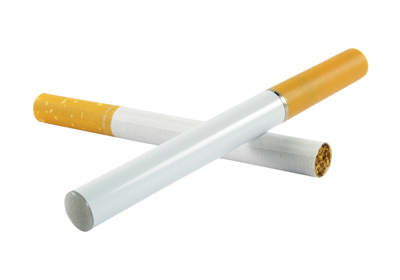 Most vapers (75%) believe suggested new European laws, designed to limit the sale and strength of e-cigarettes and e-liquids and reclassify e-cigarettes as tobacco products under the Tobacco Products Directive, are more a result of financial and/or political motivation among the powers that be than for the supposed health benefits. If introduced, those restrictions will, according to 43% of vapers, benefit the Big Tobacco companies most of all. And most vapers, contrary to popular belief, do not believe they should be allowed to vape in public places where smoking is banned without reservation. In fact, 50% agree they should only be allowed to use e-cigarettes in selected public places. The Liberty Flights research comes on the back of new data released in November 2014 by the Office of National Statistics which blows holes in the theory that vaping could be a gateway to smoking cigarettes. The ONS found that e-cigarettes were almost exclusively used by smokers and those who have now quit smoking. Just 0.14% of vapers had never smoked before. Has Big Tobacco backed the wrong horse? Perhaps one of the biggest indicators of our vaping future slipped out, almost completely under the radar, last week. It would have been easy to completely miss this gargantuan turn of events, buried like a smudge of an after-thought in the daily news agenda. Refillable mods and e-liquid sales have officially overtaken cig-alike sales for the first time in the USA, according to a new analysis by Wells Fargo Securities. This despite the wholesale takeover of 1st generation cig-alike companies by the behemoth that is the Tobacco Industry. Could it be that despite their massive power, global influence and considerable wealth, Big Tobacco has backed the wrong horse? But what does it mean to us, the UK vaping community? And how will this ill-calculated tsunami of investment in the wrong technology – Big Tobacco’s insurance policy for their end of days – impact our world and our future? Wells Fargo’s Tobacco Equity Research Report has noted that market growth of big tobacco-owned brands of e-cigarettes has seriously declined year-on-year yet the vaping market is still booming. But Wells Fargo experts firmly believe that e-cig users are not giving up on vaping, rather, they’re switching to the new 2nd and 3rd generation refillable mods sold by small companies. Furthermore, according to Wells Fargo experts the US vaping market, including cig-alike sales, is now worth roughly $2.5 billion, with $1.5 billion of that coming from customisable mods and e-liquid, compared to roughly $1 billion for 1st gen e-cigarettes or cig-alikes. The future, writ large, right there. The report suggests that the costs associated are not only some 30% less for a vaper who uses 2nd and 3rd gen refillable mods compared to cig-alike users but, crucially, that the end product is far superior. And, here’s the big hit – Wells Fargo also believes that sales of these new gen refillable e-cigs will surpass and outsell traditional cigarettes within a decade. Big Tobacco, if it isn’t already, needs to be very scared. It’s pretty clear from the amount of political pressure being mounted by Big Tobacco that they’ve seen this writing on the wall…and they don’t like what they’re reading. It seems they want to ensure that e-cigarettes are regulated in a fashion that means cig-alikes will be protected while other, cheaper, better value and more efficient vaping devices will be outlawed. They’ve backed the wrong horse. The horse has bolted. Now they’re trying to shut the stable door on the rest of the industry. We can’t let this happen. Can we? As a race, we’re eternally suspicious of change, of things done differently. Especially change we don’t fully understand. Ignorance breeds fear and becomes dangerous when based on assumption or misinformation. Those in the vaping community who took the time to read the World Health Organisation’s report on e-cigarettes this week, will be all too aware of how fear and misinformation can breed contempt for, and suspicion of, new ideas, technologies and solutions. Today those millions of vapers who thank their lucky stars for discovering that e-cigs gave them a reliable escape from the hell of cigarettes, will be shaking their heads in disbelief at the horrific scaremongering that has accompanied the WHO statement. Author Arthur Miller famously illustrated just how poisonous and infectious mass delirium can become when it goes unchecked by a dose of factual perspective. His play, The Crucible, may have chosen the historic Salem witch-hunts in New England to highlight this very human idiosyncrasy but, were he writing it today, he could just as easily used the Great Vaping Scandal to make his point. So, let’s get to the nitty gritty. The detail. The facts. Let’s read beyond the frankly ridiculous doomsday-style tabloid headlines and expose exactly what the WHO statement actually says. It says that electronic cigarettes should face greater restrictions on their use, sale and promotion. The WHO also states that, although less harmful than real cigarettes, the nicotine vapour exhaled carries a passive smoking risk that means e-cigs should be banned indoors. They claim there is only “limited” evidence that e-cigs help smokers quit, which “does not allow conclusions to be reached”, calling for a ban on marketing them as “smoking cessation aids” without more evidence. We’re absolutely certain that the huge majority of the millions of people who have quit smoking after taking up vaping, and seeing their health improve, would fundamentally disagree that e-cigs don’t help smokers quit. Now, for some perspective. A little balance. The Oxford Journals report into Secondhand Exposure to Vapours From Electronic Cigarettes sees things very differently to the WHO. 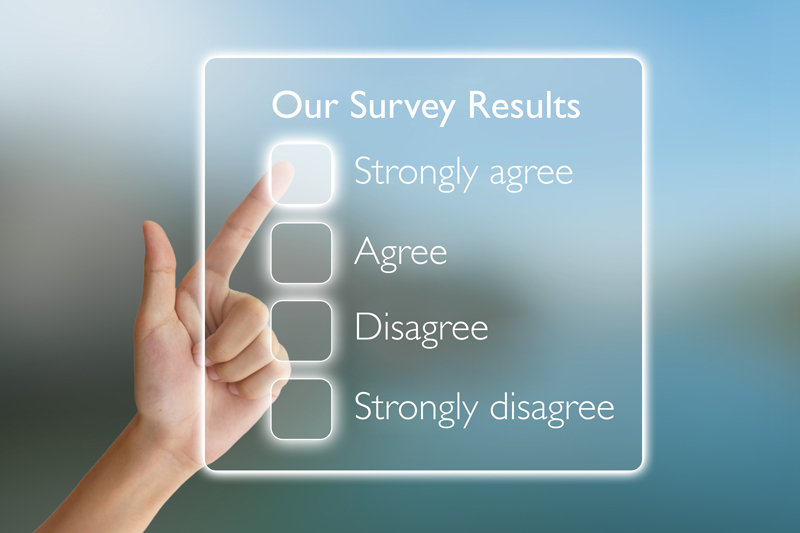 Its panel of esteemed doctors, physicians and acknowledged medical experts conducted its own independent study. And its conclusion? So, no exposure to that toxic mix of chemicals that really makes second-hand smoke dangerous to third parties. Ash – the Action on Smoking & Health advisory group – agrees. Hazel Cheeseman, Ash director of policy and research, says there is “no evidence of any harm to bystanders from use of these devices”. She added: “Smoking kills 100,000 people in the UK alone. Smokers who switch to using electronic cigarettes in whole or in part are likely to substantially reduce their health risks. Let’s go back to the beginning. Change. We may fear it but we can’t halt progress. And, however you want to dress up the detail there’s one fact amongst all this debate and political rhetoric that remains uncontested by all sides – e-cigs are the most significant opportunity to change the lifestyle and health of those hooked on cigarettes for decades.